These neck coolers are a must have for any outdoor event. When dry, they lay flat so you can easily tuck them away in your purse. When the heat starts rising just soak them in cold water and wrap them around your neck. These adorable bucket hats are sure to keep the sun out of your eyes. Super easy to make and they are reversible!! 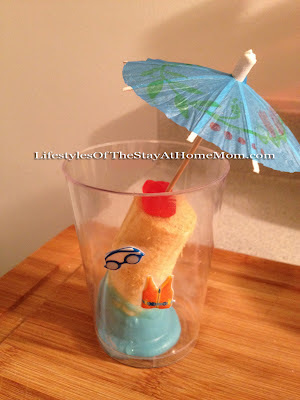 These little beach bites are so simple to make and would be a hit at any party or just to surprise the kids with a fun afternoon snack. Keep your little darlings hair out of her eyes this summer with these adorable DIY hair bows. Can't find that perfect swimsuit? Why not alter one. Can you believe this adorable swimsuit used to be one piece? 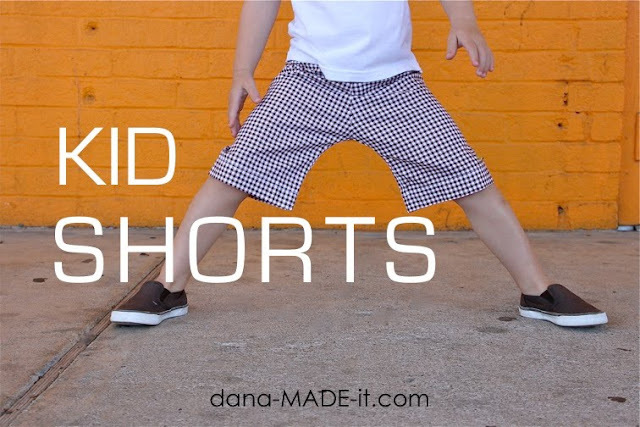 Help your kiddos beat the summer heat with a fun new pair of shorts that are oh-so-simple to make. Change up the water play by adding a river to your backyard. Set up more than one and challenge your family to some rubber duck races. Head outdoors for your next family game night and turn your patio into a giant chess board. I'm with you--A/C,cool wraps for the neck if I have to venture into the excessive heat, like today's 100 degrees, my kids are grown, but I do love that adult hat! Keep cool, carry on.